We all have something to feel self-conscious about. Sometimes we are the only one who notices that “one thing”. But, when that one thing is on your face and you look at it every day it is hard to be your best self, knowing people you meet notice it too. I not only experienced painful breakouts that spoiled my once beautiful, porcelain skin, but the acne scars and pock marked skin that remained due to the loss of collagen made me less confident and embarrassed to show my face. Another thing that is happening to my face with aging and gravity is that I am losing even more of my youthful collagen. I now feel the scars on my face are even more noticeable than ever! I have spent so much money up to this point trying to “fix” my face that I really couldn’t afford to spend much more. In addition, I put my trust in so many medical practitioner’s promises to make my pock-marked, scarred skin smooth again only to be disappointed time after time with the lack of results. I heard about Jill from Innovative Directions In Health and that she was a pro at treating acne scarring so I called for an appointment. I was at my wits end and this was my final attempt to try to smooth the scarring – my fingers were crossed this would work. I met with Jill for a consultation. Her calm and confident demeanor made me believe this treatment just might be the one that will help me. 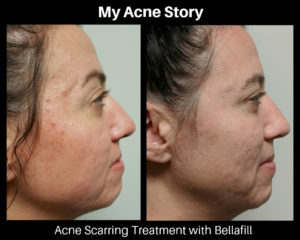 She recommended subcising my scarring to free the anchor of the scars followed by injecting a filler called Bellafill. The Bellafill would be placed into the divits to stimulate my own collagen that will fill in and smooth my skin. I had already tried everything under the sun to make my skin look smooth again so I was a bit skeptical but went forward with the treatment. With each scar she released by the needle subcision, it felt like a lifetime of embarrassment and shame broke with it. 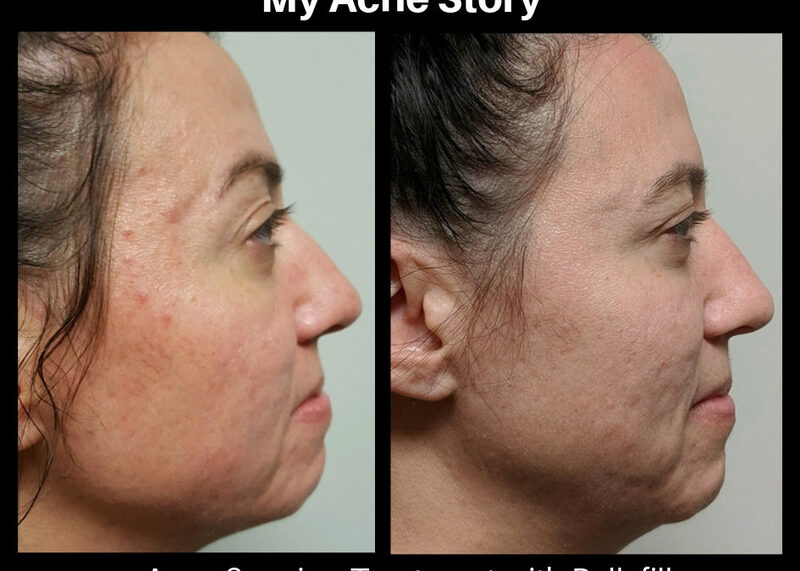 Jill applied a topical numbing cream and the Bellafill had lidocaine mixed in it so there was no pain. She diligently worked on my skin for 2 hours. When it was time for me to look in the mirror, I told her I would rather not. Hesitantly, I finally looked and was surprised at the instant smoothing of my rough skin. It was hard to hold back tears – it’s working! Jill and I created a treatment plan to begin once the collagen from the Bellafill filler has grown in. The new collagen that has been stimulated to fill my poc marks can continue to grow for up to a year. My initial results that I have been so pleased with will keep on getting even better. For once, I have peace of mind and hope that I will regain my confidence and be able to put my best face forward. Here are some pictures of my results! Note: We have not injected the lower half of my face yet! I will continue to share my journey with you. More to come! Our patients often tell us they have had their thyroid checked by their family physician and were told that it is fine all while they are having symptoms of cold hands and feet, weight gain, low energy, etc. Dr. Sinda also see’s many patients who were identified with a thyroid imbalance and were prescribed Synthroid or Levothyroxine which is typical for mainstream medicine. Levothyroxine is the generic form of Synthroid. These medications only treat the Thyroxine (T4) and patients often don’t get relief from all of their symptoms. 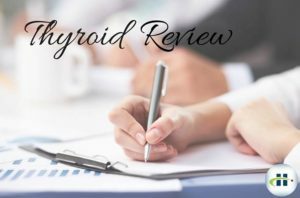 To determine if a patient has a thyroid issue Dr. Sinda looks at levels for the complete thyroid panel (Free T3, Free T4, TSH and depending upon levels Reverse T3). If thyroid is low, he often prescribes Armour Thyroid or Nature Thyroid which are bio-identical to the thyroid all ready in your body and treat the complete thyroid (Thyroxine (T4), T3, T2, T1). Dr. Sinda prescribes according to blood levels AND by how the patient is feeling. If you have been told your thyroid is “ok” but suspect you have a thyroid imbalance, make an appointmentwith Dr. Sinda for a second opinion. “If you have a thyroid problem, this is the place to go! Dr. Sinda is the first doctor who actually LISTENED to me, AND did a FULL THYROID PANEL!!! He discovered what I have known all along…even though my TSH levels were normal, I had other hormones that were out of whack, which were causing my thyroid symptoms to linger. If you are on Synthroid or Levothyroxine, and you feel that medication is just not doing it, come see Dr. Sinda. He’ll fix you right up!” – L. H.
To call the office for an appointment with Dr. Sinda or more information call (952)922-2345 or emailinfo@idinhealth.com. You may say…what what what is so exciting?? Let me tell you! One month ago I treated myself to Bellafill at Innovative Directions in Health! That’s right! I treated MYSELF, and the whole experience was a TREAT! Here is why! 1) WORRY FREE! Jill administered the injections so beautifully. She is a true professional taking meticulous care of where the Bellafill should go, stepping back to study my face after each fill, and always being so very gentle with the tiniest needle I have ever seen. I felt like she was an artist at work! Worry free on my part! 2) IMMEDIATE RESULTS! I went to lunch with friends right after my appointment and they all mentioned how wonderful I looked! When I told them I just came from and hour of tiny injections they simply couldn’t believe it. When I told them that Bellafill keeps working for 5 years, and my own collagen will start to take over and work more on it’s own…they all wanted to call for appointments. And they did! 3) LONG LASTING RESULTS! Everyday when I look in the mirror, I am still thrilled with the results. My eyes are lifted, my skin is soft and clear, and I can’t believe it will continue to get even better. TREAT yourself. You will be as thrilled as I am!!! 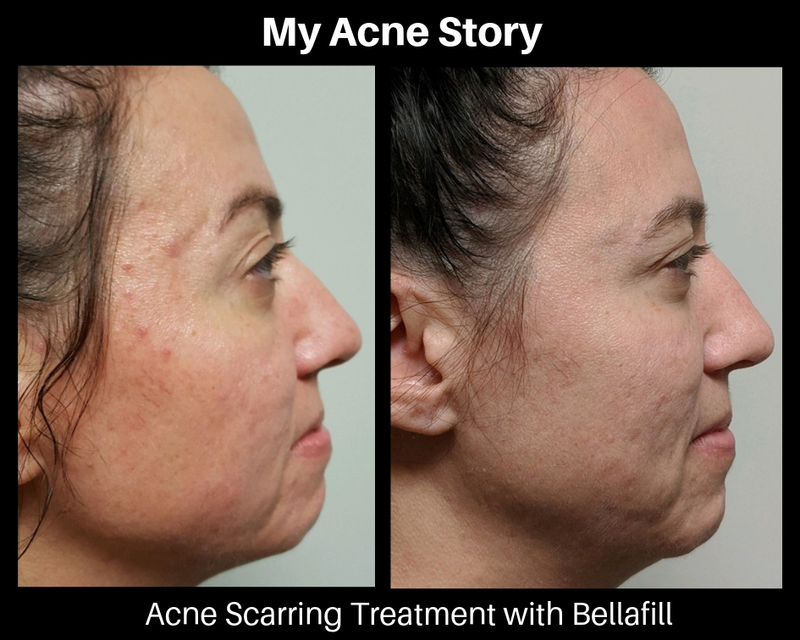 Contact Jill for more information about Bellafill, our free seminars or to schedule a complimentary consultation Simply fill out our contact form or give Jill a call at (952)922-2345. After two years of insomnia, I found Dr. Sinda’s clinic. I was terribly exhausted and was searching for a way to treat my symptoms without the use of harmful sleeping pills. Not only did Dr. Sinda explain in-depth the reason for the sleep difficulty, he also explained the delicate balance bio-identical hormones can play in improving overall health without damaging overall well-being. Also to note, visits at Innovative Directions in Health are a true joy, where I never feel I’m fixing something that’s broken. Instead, a visit here feels like I’m ensuring a positive, high quality of life with people truly invested in my future. -K.R. Thanks for allowing me the opportunity to share feedback on my experience with Innovative Directions in Health and more specifically, Dr. Sinda. Bottom line in my experience with Dr. Sinda – he has been able to help me accomplish more with my health in the past 6 months than any other physician has been able to do for me in the past 7 years. I was always diligent in making sure my annual exams every fall were completed. Every year I would explain how I was tired, not able to lose weight (even though I was exercising 4-5 days a week), and was waking every 2 hours each night, and all those other things that come along with my age. My physician would spend her 10 minutes with me and ask me the same questions as the previous year (even though I had been going to her for many years) and then tell me the same thing “you just need to accept it” and “there is not much you can do – just work out more!” I even went to an Endocrinologist and had additional testing done because they were convinced that I had a thyroid problem – nope wrong again! Quite honestly – I was tired of hearing the same response and decided I needed to be assertive and challenge what they told me. So, I pulled out the last Suzanne Sommer’s book and starting reading – then got to the section of recommended facilities and noticed there was one in Minnesota! Yeah! Fast forward to January, I scheduled the appointment with Dr. Sinda where we went through a very thorough discussion on my health, history of my family’s health and discussed the Innovative Directions in Health’s process. Being very impressed with the level of attention to me and my symptoms, I decided to move forward with the process. Losing about ½ pound a week and have more energy to work out – working out 5 to 6 times a week. No more feelings of being bloated. Actually getting sleep – only wake up once a night.  Found a physician that actually listens and gets to know me as a person! The current results have been wonderful, but the even more amazing story is that the changes that I have seen from my experience is creating a more long term impact on my health. I work for a large healthcare company and for the past 5 years we get incented with lower healthcare premiums based on “passing” certain biometric screening tests. This is the first year that I have been able to “exceed” these metrics – BMI, Blood Sugar, Cholesterol and also the Blood Pressure measure. No more being a “Pre-Diabetic” or “High Blood Pressure” patient! Making the decision to work with IDH has been one of my best health decisions – after all we are in a “consumer directed health environment” and this is proof about how taking responsibility for our own health can be rewarding. Thanks Dr. Sinda for listening and making an impact on my current and future health. Don’t change anything with your approach, just try and reach more people!” Cheryl F.
We would love to reach out to help more people. Word of mouth is the most powerful way to spread the word about our services. If you would like to share your experience at Innovative Directions in Health or share about one of our staff members, please post it on Google, Facebook or Yelp.